As you may have seen in the past, a budget saving trick of mine is to make liquid laundry soap from bar soap. I first did this towards the end of 2012 and the stock I made lasted me over a year. The problem with it lasting that long is that by the time I needed to make more, I had forgotten how. Hence the volcano episode. There are a ton of ideas on how to do this on Pinterest (particularly for hand soap or body wash), but there was on in particular that worked for me & what sort of things I keep in the house. Naturally, I completely lost the link, even though I swore that I had pinned it, bookmarked it and emailed it to myself. Well, never fear, I finally found it again! This is designed for making hand soap. Since this post, they’ve also updated it with mix ratios that work better for them. That’s the great thing about this type of DIY: it’s very cheap and very customisable for personal preferences. There are some great tips in the original, so I’d still recommend that you read it. Depending on what type and brand you buy, bar soap is pretty cheap. I bought an eight pack of soft bar soap from Woolies the other day and I think it only cost me $2.50. I bought my glycerin for about $5 in Riot Art and Craft. I’ve barely used any of it. As for storing the soap, I keep empty glass bottles and jars in the laundry until I need them, then just fill them up with soap. We have a pump in the kitchen and a pump in the bathroom, so it’s quick and easy to fill up as needed. This was about two bars of soap, grated & made into liquid. I don’t always make hand soap, because it’s so cheap to buy refills. I only made this batch seeing as I had bought a big pack of soap recently. Usually, I use this bar soap to liquid soap recipes for laundry detergent, as that costs a lot more than most. There are varying recipes on how to do this. Again, a search on Pinterest will bring up a variety of ones for you. I tend to kind of just make my own up. You may noticed when I do food or cooking posts that I don’t really follow instructions very well. 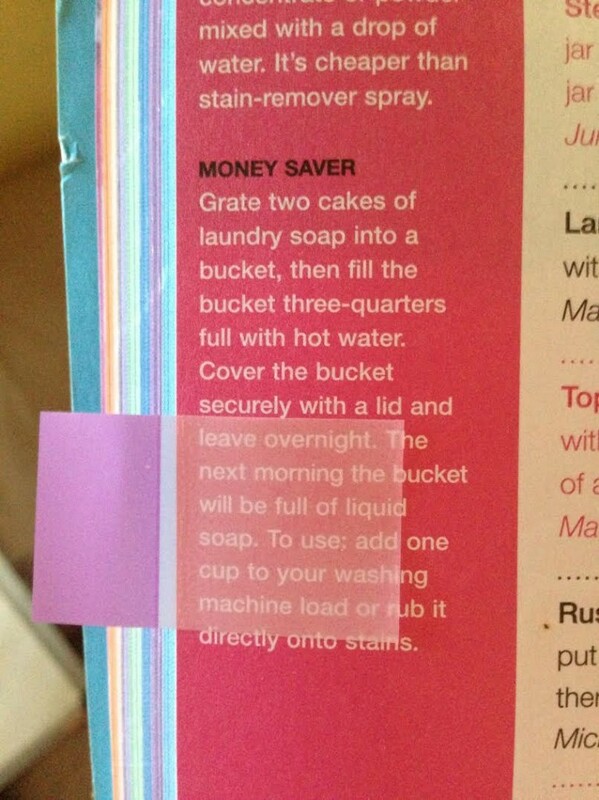 A good way to make laundry liquid is below. This is taken from a Take 5 tips book. Take 5 is an Australian magazine that people often send tips into – they published this into a book a while back. 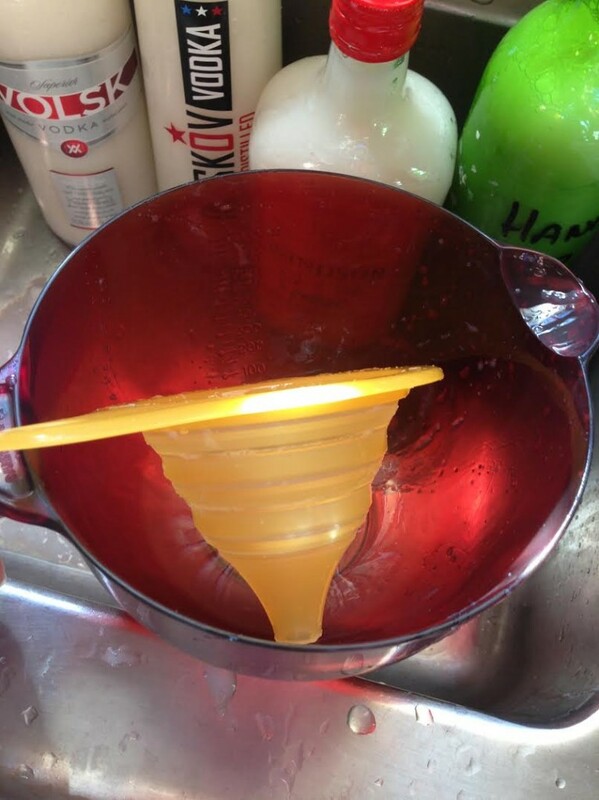 Easy way to make laundry liquid. 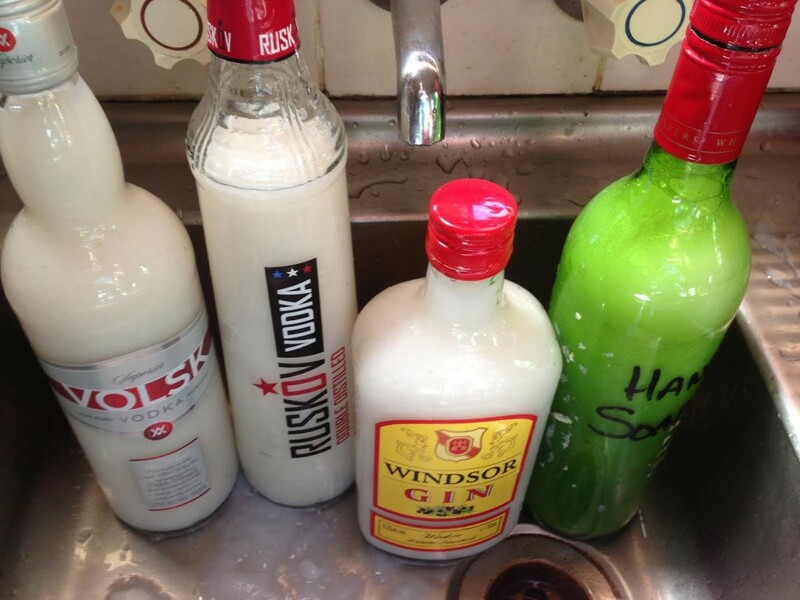 Have you ever tried making your own liquid soap from bar soap? What’s your budget household tip? I made this a few years ago and I just couldn’t get the consistency right. The post I got my instructions from had lots of comments from people complaining about it having a ‘snotty/slimy texture’ and I couldn’t figure out what they meant, until I made it! It does a great job and is super cheap though. Where Does Your Creativity Pour From?